Our obstacle race training program is designed to get you ready for the varied demands of an obstacle race. You will be running, lifting, pushing, pulling, throwing and getting “Tough” for the challenges that are presented on the course. 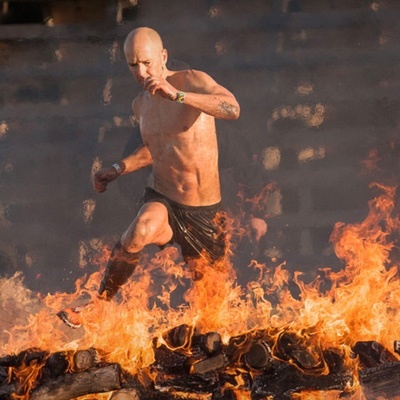 This program is designed to increase your running speed and endurance while at the same time increasing your physical and mental strength so you can over come the obstacles on the course and in life.This programming includes CrossFit style WODs, strength training, running intervals, endurance running and obstacle specific exercises to get you ready for your 1st, 5th or 25th race. The program is designed to be flexible based on your skills, ability and race goals. If your goal is to cross the finish line for the first time, reach the podium for the first time, or anywhere in between, Tough Training is the road map to get you there. Those who want to get ready for the varied demands of an obstacle race which includes building both strength and endurance. The programming provides you with 6 workouts per week, one workout per day and a rest day. These components can be completed in about and hour and should be performed on alternating days. M-W-F or T-Th-S.
On the days you are not in gym/box/garage you will be out on the road, track or trails working on your running speed and endurance. The running will consist of intervals of varying distances and a longer endurance run on the weekend. The distances are outlined based on your upcoming race plans. The combination of in the gym and outside training will build up you physical and mental endurance so that you are ready to crush it come race day. Weekly Meal Planning to help you reach your goals faster and Weekly Stress Management Exercises! PROGRAM PRICE $25 BILLED EVERY MONTH. CANCEL ANY TIME.